As Hurricane Harvey suddenly hurdled toward the Texas coast with unexpected force late last week, FEMA issued what for Harvey’s victims would be an unhelpful public service announcement: “No Flood insurance? Now Is the Time to Buy." 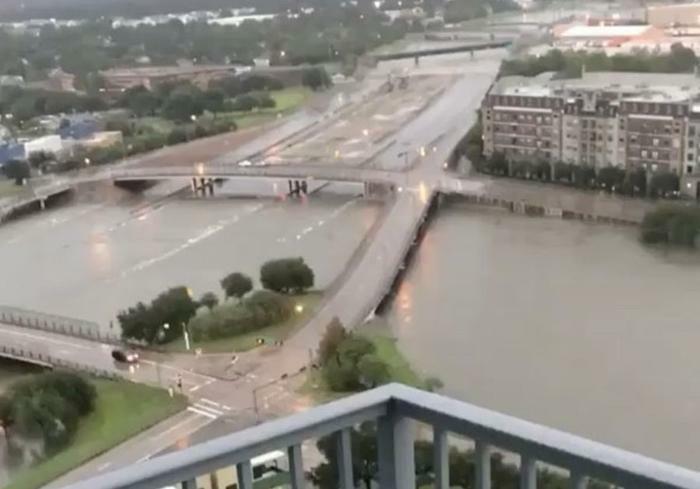 FEMA, or the Federal Emergency Management Agency, issued a press release on August 24 urging people to buy flood insurance. That same day, meteorologists had upgraded Harvey from a tropical depression to a full-blown hurricane, and the news would only get worse. On Friday, when it was too late for Houstonians to evacuate, meteorologists discovered that Harvey was severe enough to qualify as a Category 4 storm. But Harvey highlights a problem in Houston and in other major cities: most Americans do not have flood insurance, even though flooding is the most common natural disaster in the nation. The bigger problem, experts warn, is that Americans may not realize that they don't have flood insurance. Many may mistakenly believe that regular homeowner's insurance covers flooding. “The people who don't have flood insurance have a very serious problem, Robert Hunter, a former Texas insurance commissioner, tells ConsumerAffairs. An agency called the United States Small Business Administration invites Americans who are cash-strapped to apply for low-interest loans through a disaster relief program. New Orleans residents who lacked flood insurance turned to this program en masse after Hurricane Katrina and they received more than $11 billion in loans. Superstorm Sandy victims in the East Coast received another $2 billion following the 2012 natural disaster. But experts describe the loan program as a slow, bureaucratic process. And those large sums of aid won’t be available without congressional approval. Even with loans available, thousands of Hurricane Katrina victims ultimately opted to declare bankruptcy and flee their destroyed houses, finding the mortgage on their unlivable homes unaffordable. “A lot of them [Katrina victims] moved to Houston and they’re probably going through this again,” Hunter says. New Orleans officials are still auctioning off lots that residents have left empty, and as reporters discovered in 2015, some Katrina victims were still living in unsafe FEMA trailers a full decade since the storm ravaged their houses. But people who have flood insurance won't necessarily cash in. After Superstorm Sandy, people complained that their claims were often denied or short-changed. Their problems revealed widespread dysfunction within the system that makes flood insurance possible, as PBS brought to light in a report last year. Home insurance companies used to regard flood insurance as a money-loser. To compel companies to sell flood insurance and consumers to buy it, the federal government created a public-private partnership called the National Flood Insurance Program in the 1960s. But the program is deeply in debt and is set to expire on September 30 without Congressional reauthorization. The looming deadline is making many lawmakers reconsider the system. Currently, people who opt to purchase flood insurance pay an additional premium to an insurer, who is then supposed to allocate a portion of that money into FEMA’s National Flood Insurance Program. When homeowners need to file a claim, the flood insurance pot is, in theory, supposed to cover it. But the program is now an estimated $24 billion in debt, putting taxpayers on the hook to cover a growing pit of flood damage. The GOP is reportedly considering cutting federal funding to the program. The lawmakers pointed to a Government Accountability Office report from 2009 warning that insurers had made a 16 percent profit from participating in the flood insurance program. And PBS subsequently reported that the insurers’ profit margins were as high as 30 percent. Allstate, for instance, recovered $77 million in December 2016 through its participation in the National Flood Insurance Program, according to the company’s 2016 annual report. Allstate is among the 80 companies that provide flood insurance through FEMA. The company's financial report makes flood insurance sound like an extremely attractive arrangement for the insurance industry. “Under the arrangement, the Federal Government pays all covered claims and certain qualifying claim expenses,” Allstate explains to investors. Allstate, which has not yet returned an email inquiry, pledged in a recent press release to donate $1.5 million to hurricane relief and recovery. FEMA has promised to take various corrective actions in light of the criticisms, though the extent to which that will help homeowners remains to be seen. Last year, Government Accountability Office painted a dim picture of FEMA and its ability to regulate the flow of money coming in. “..FEMA’s NFIP funds may be at risk for fraud, waste, abuse, or mismanagement,” the GAO said.